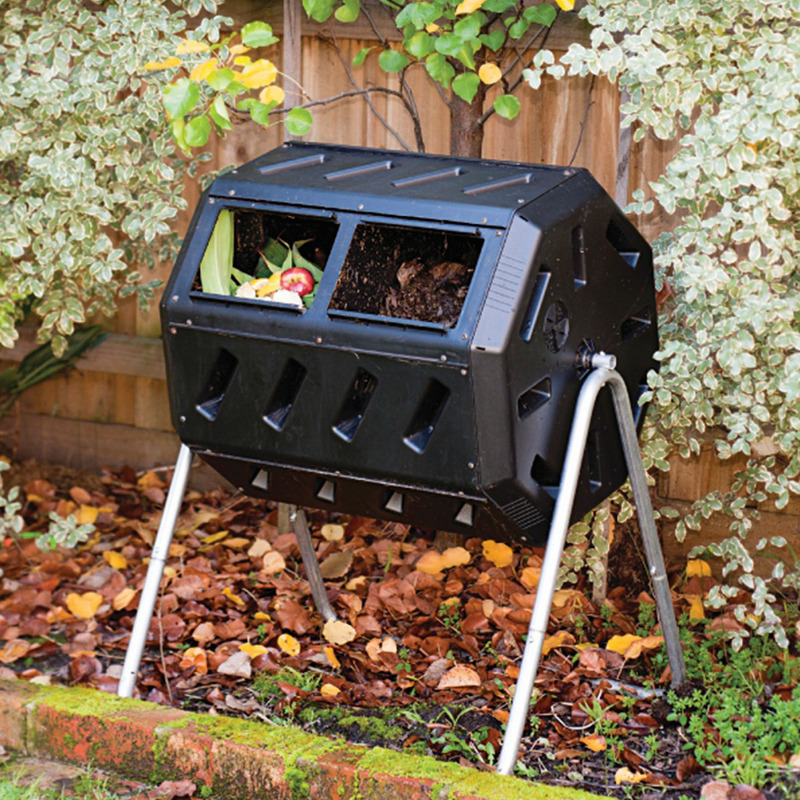 You can make compost in your backyard using compost tumblers. Put yard waste such as grass and leaves as well as food waste from the kitchen compost bin in the outdoor barrel. The secret to fast composting is aerobic composting. Air will speed up the composting process. Rotating compost bins make turning and airing the compost much easier. Turn the compost tumbler every few days and watch your food scraps and grass clippings magically transform into sweet smelling soil.